States can't tackle issues like climate change alone, and that's why global solution networks bring together corporations and stakeholders. Historically, societies have attempted to solve global problems through states working together through institutions like the UN. Non-governmental organizations (NGOs) also helped through advocating change, mobilizing or through volunteerism. Companies went about their business of winning customers and making money. Some companies contributed through philanthropy or through their Corporate Social Responsibility (CSR) initiatives. But progress has been slow. However, in assessing the world of global conflict, growing social inequality, climate change, economic malaise and myriad other global problems, a growing number of corporate leaders understand that business can't succeed in a world that's failing. The good news is that there is a powerful new way that business can now effectively contribute to a better world by creating and connecting multi-stakeholder networks. Together, companies, NGOs, governments, researchers and other individuals are carving out a new and powerful way to effect global change. Thanks to the internet and some big changes in the global economy, everyone can leverage the effects of networks to create a dramatically bigger impact than previously thought possible, while at the same time advancing their commercial interests. This is not only good, it's necessary -- over the past decade in particular it's become apparent that business can't succeed in a world that's failing. There is something new on the scene and by the year 2025 this may in fact be the main way we seek to build a better world. A "Global Solution Network" (or GSN) is a group of independent parties who have been brought together by a world problem they all perceive to be important, and which no single group has the ability to handle on its own. They become a network when they begin communicating about and coordinating their activities to make progress, rather than working independently and competitively (as an "industry" in a market economy). There are knowledge networks like Wikipedia, Galaxy Zoo and TED; advocacy networks like Kony 2012, mobilizing tens of millions of people to change policy. Then we have policy networks like the International Competition Network determining policy for global institutions and governments. Human Rights Watch and Transparency International are watchdog networks as they perform an oversight role, while networks that govern important resources -- like the ecosystem that runs the internet worldwide -- are called governance networks. Large global institutions like the World Economic Forum draw on vast networking capabilities from all 10 types. Cooperative, multi-stakeholder efforts to solve shared problems have arisen in the past. In business, the most apparent examples have been "standards networks." Yet, historically, the world's biggest social and economic ills have been predominantly addressed by gatherings of countries. Remarkably, the model we still have and use for global political and economic cooperation was forged in the aftermath of WWII, when 42 countries convened at Bretton Woods, NH and created the United Nations, International Monetary Fund, World Bank, G8, World Trade Organization, and more. Once state-based institutions like these took hold, it became hard to imagine that there could be other ways to address territory-spanning social challenges. These are the human problems that, in the words of former UN Secretary-General Kofi Annan, "do not come permanently attached to national passports." But over time, it has become clear that these institutions acting alone are unequal to the tasks we set them at Bretton Woods. Progress on many fronts has stalled. Two major developments in recent decades have provided the basis for the new model. First, the advent of the internet has created the means for enterprises of all sizes down to the individual to communicate, contribute resources and coordinate action. We no longer need government officials to convene in order for the rest of us to align our goals and efforts. Second, businesses have gained the ability, perhaps by virtue of a newly international consumer base or a growing eagerness to be forces for good, to play an important role in global cooperative efforts. There were no businesses at the table at Bretton Woods. But today, corporations routinely engage with other sectors to address issues in sustainability, social justice and public wellbeing. Consider the process of addressing global climate change by regulating greenhouse gas emissions. We're in the early days of a new approach that goes beyond national governments and engages all facets of society. At the annual UN Climate Change Conference taking part this fall in Paris, France, (COP21) talks may result in a successor agreement to the now-expired Kyoto Protocol. The Conference is particularly unique in that it will convene 750+ participants from across business, government, investors, NGOs, the UN and civil society. The Kyoto Protocol, on the other hand, extended the 1992 UN Framework Convention on Climate Change, committing state parties to reduce greenhouse gas emissions and engaging only states in the process. Countries remain essential. They're needed to write and enforce the domestic laws required to give an international agreement teeth. But the overall battle can only be won if businesses, local and regional governments, power providers, transportation systems, other institutions and billions of citizens get involved. We need to mobilize the resources of humanity on a scale not dissimilar to what we saw during the two great world wars, but this time we will all be fighting together and for the same cause. The combination of these developments yields a new model. Global Solution Networks, as opposed to state-based institutions acting in isolation, can achieve global cooperation, governance, and problem solving -- and make it a faster, stronger progress than non-networked state-based institutions ever could. The challenge is clear: You now need to think strategically about which you will participate in, and how. Will your organization act in isolation, taking on only the size of problems it can single-handedly solve? 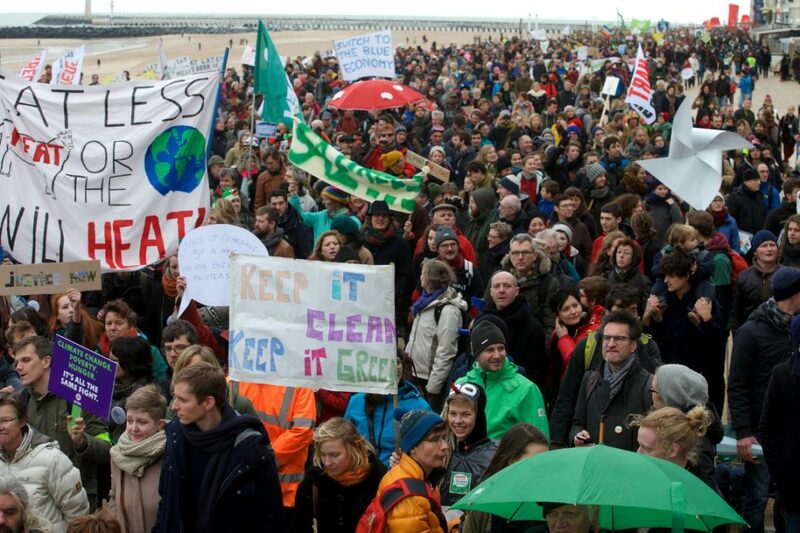 Or will you join the good and many fights taking place on a global scale, and leave the world meaningfully better? This article was originally published in the Toronto Star. 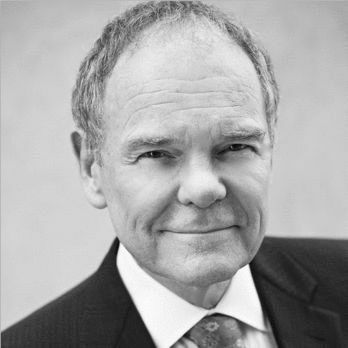 Don Tapscott is the Founder & Chairman of the Global Solution Networks program at the University of Toronto, in the Rotman School of Management's Martin Prosperity Institute. 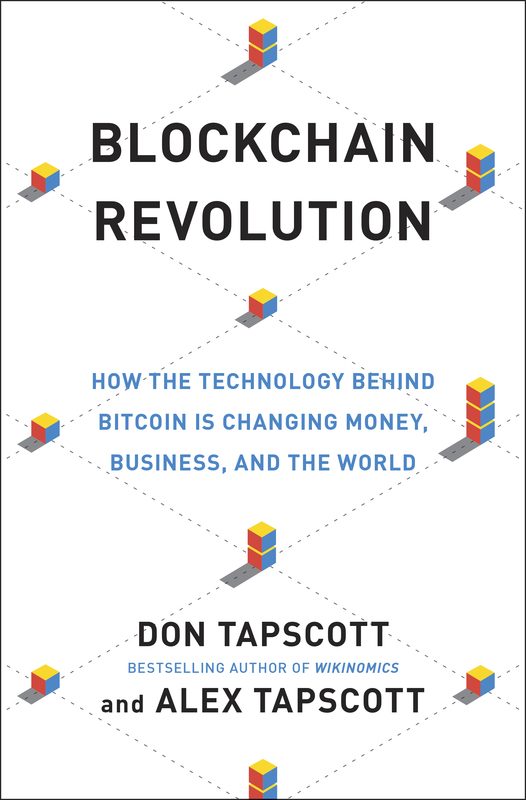 Don, Along with his son Alex Tapscott, has recently published Blockchain Revolution: How the Technology Behind Bitcoin is Changing Money, Business, and the World; which is now a bestseller.